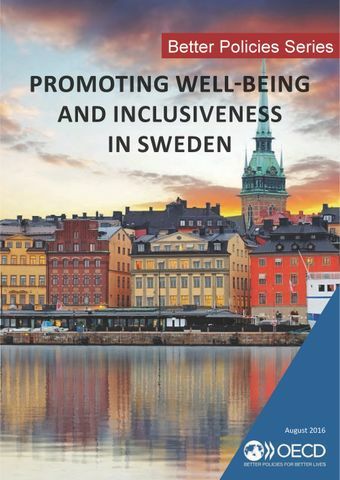 Sweden has a remarkable track record in sustaining a high level of well-being of its citizens. The country performs above the OECD average in all dimensions of the OECD’s Better Life Index, and these good outcomes are typically shared widely across the population. Sweden is one of the leading countries in receiving refugees and a strong supporter of ambitious global goals to fight climate change and implement the 2030 Sustainable Development Agenda. However, for this success story to continue, the country needs to reverse the declining educational performance of its youth, speed up labour market integration of newly arrived immigrants and address infrastructure deficiencies, particularly in the housing sector. Also, Sweden’s high ambitions with respect to environmental protection call for further policy action to advance the transition to a low carbon and circular economy.